Adams Blvd, Madison Blvd, Frank Phillips Blvd and Eton Drive. 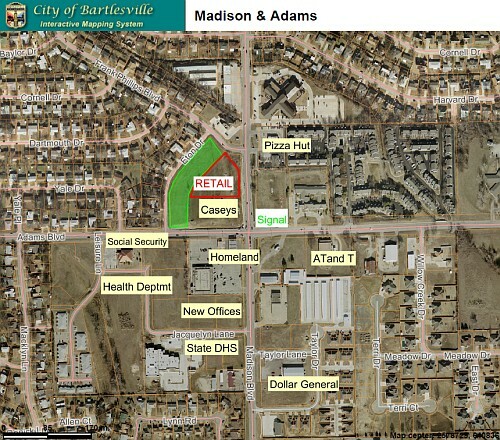 Zoning: C-3 PUD for retail site and RM-3 PUD for residential duplex lots. Utilities: Water, Sewer & electric are on site; Natural Gas is close. Features: Area: Several new housing and office projects have been completed close by in the past few years.